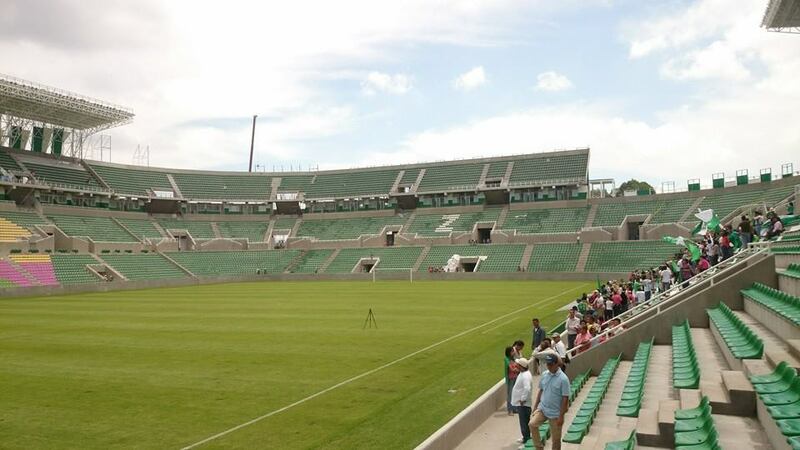 First news of a planned new stadium in Zacatepec date back to 1948. But the project hadn’t started until late 1950s and was only delivered in 1964. 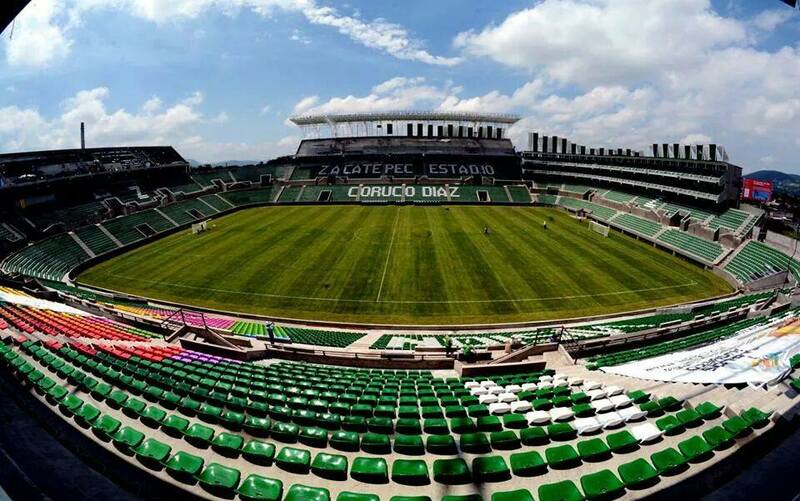 Located at the very heart of the town, it received the name of Agustin Coruco Diaz, club legend with major share in Zacatepec’s two championship titles from 1950s. The unofficial name was a more interesting one – “Selva Cañera” (Sugarcane Jungle). Its source is of course Zacatepec’s largest industry, sugarcane fields surrounding the town. But the stadium was always known as a very unfriendly place for visiting teams due to high temperatures and humidity, earning the ‘jungle’ part. The stadium survived in its initial shape until 2013. At that point construction of a brand new structure in its place was long discussed and approved. Financed by state authorities, the modern stadium is more in line with the Sugarcane Jungle nickname. 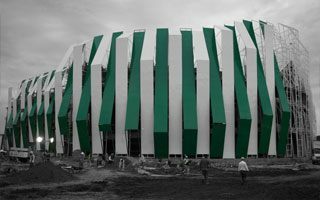 It’s the tallest building in central Zacatepec and with its external cladding resembling green and white canes it’s a really intimidating place. This time construction proved much faster than with the old stadium. 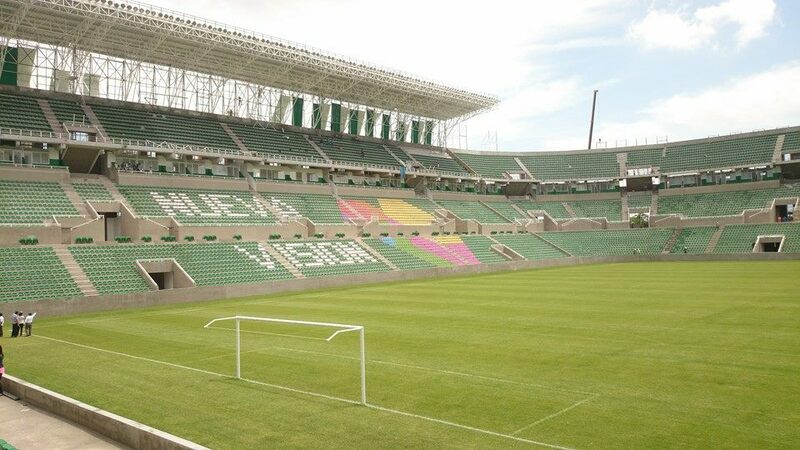 Based on prefabricated elements, the stadium was delivered in 1.5 year. On August 27, 2014 it was officially opened with a sell-out crowd, though not entirely finished then. Inside it offers three tiers of seating along the sides and at one end. The other end is shorter as the third tier was replaced with corporate facilities. Two corners needed to be left almost empty, because of land shortage. Unusual shape of the plot is also why the stadium had to be built upwards. It offers over 24,000 seats, nearly 700 of them in skyboxes. With that capacity it’s almost able to hold all citizens of the town. 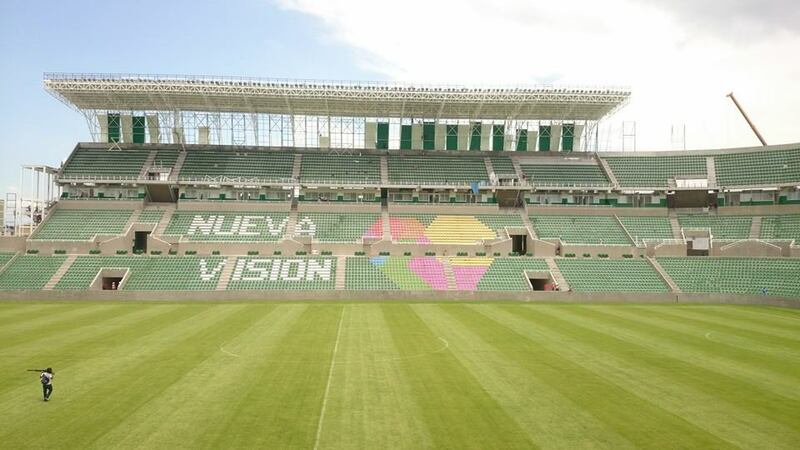 Priced initially at 400 million pesos, the stadium proved significantly more expensive and is estimated to consume roughly 500 million. It’s been a record-breaking competition with over 96,000 registered votes. While we thank you for taking part, please feel invited to the winner announcement on Thursday. 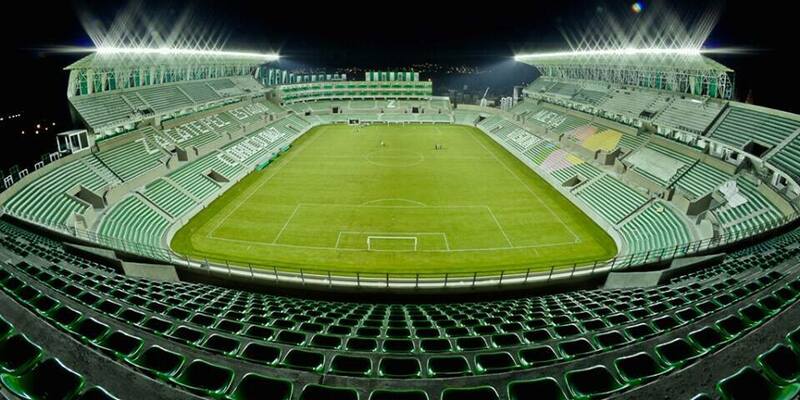 12.02.2015 Stadium of the Year: How much did a stadium cost in 2014? 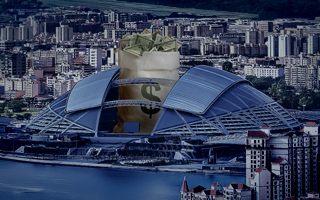 Our annual competition gives a chance to review stadium prices around the world. Chlle, Hungary and Turkey lead the way in cost-effective building, not for the first time. For one month everyone will have the chance to be part of the world’s largest stadium vote. This year it’s a tough choice with record list of 32 nominees from around the globe. 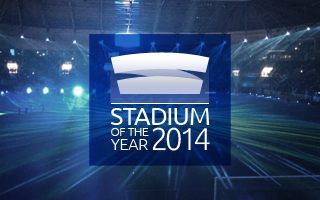 16.01.2015 Stadium of the Year: Meet the nominees! After a week and 400 messages from our readers here they are: 32 stadiums from 20 countries around the world. Tomorrow we begin the public vote, remember to be here! 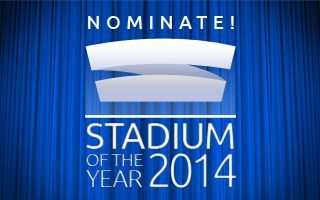 08.01.2015 Stadium of the Year 2014: Time to nominate! It’s that time of year again when we ask you which were the most important stadia opened last year. Let’s nominate them together, this time via facebook and twitter. It’s one of those stadiums that you don’t have to like, but it stands out. 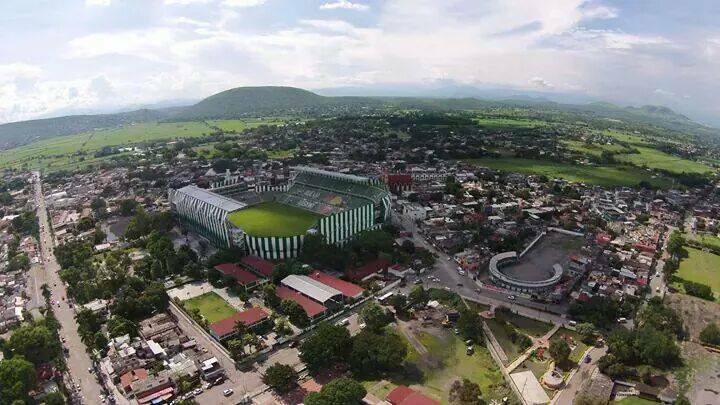 Literally too, it dominates the skyline of Zacatepec, Mexico’s sugar capital and home of two-time national champions.